This statistic shows the results of a survey conducted in the United States in February 2017. 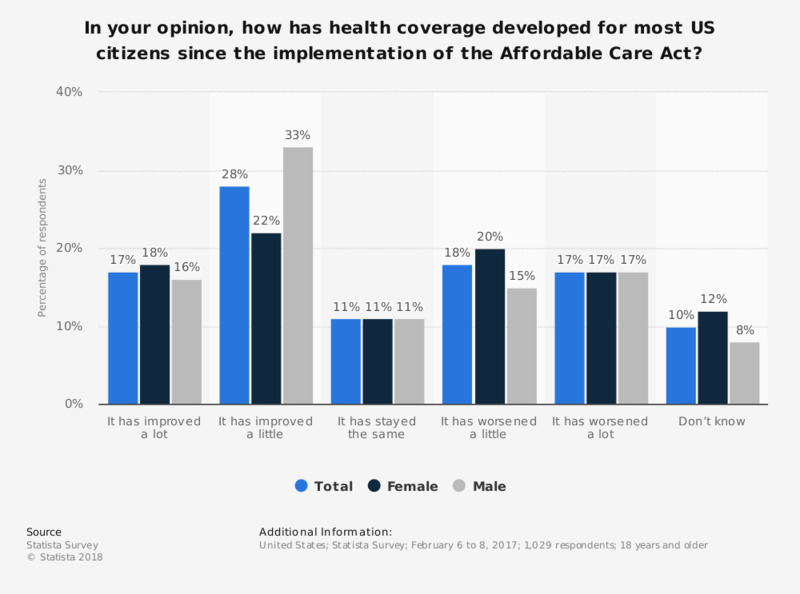 U.S. adults were asked how health coverage has developed for most US citizens since the implementation of the Affordable Care Act. In total, only seventeen percent of respondents stated that it has improved a lot.